This is the basis of formulating a treatment plan. To begin with you will be asked a variety of questions, such as questions, concerning your lifestyle, occupation, sports and hobbies etc. Your past medical history, and the history of your present condition/complaint. The physical examination although in some aspects, may be a little uncomfortable is performed under the control of the patient. There will be constant communication and feedback between the physiotherapist and the patient. Don't forget we are here to help you and not hurt you.  We do understand that most patients who come to see us are already experiencing some pain. After the subjective and objective (physical) examination the physiotherapist will discuss his findings with you. During this discussion they will explain how they would like to approach treating you and formulate a treatment plan. These discussions will be on going throughout your physiotherapy sessions. There are a variety of treatments that we use when treating and managing patient's conditions. Treatments last around 30 minutes, and are priced at £35 per session.